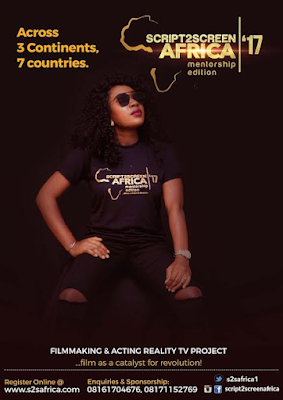 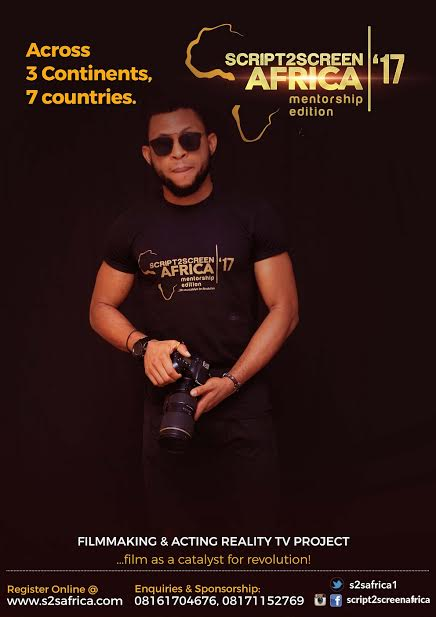 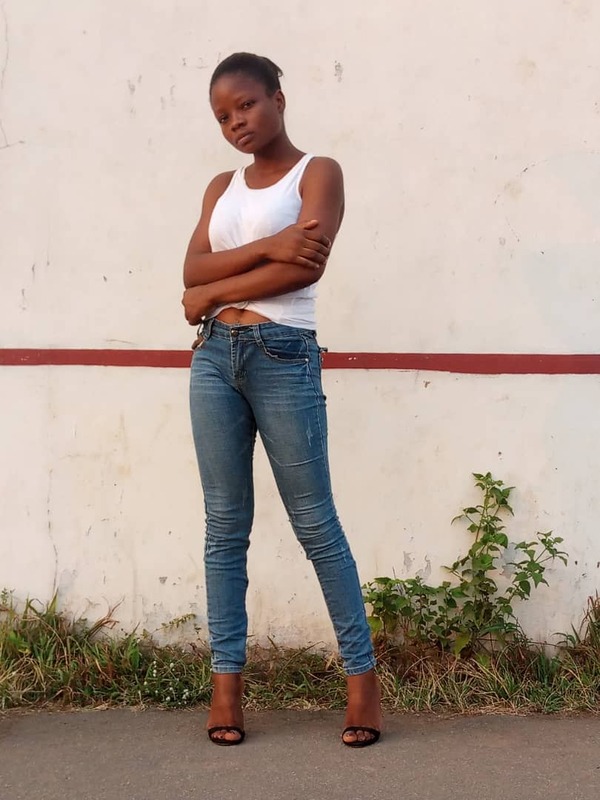 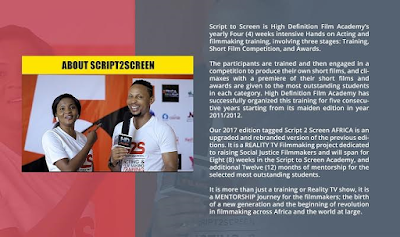 African Film industry is set for a revolution through filmmaking, as High Definition Film Academy (HDFA) launches the 6th edition of its Script2ScreenAfrica filmmaking and Acting Reality TV project, with the theme “Film as a catalyst for revolution!”. 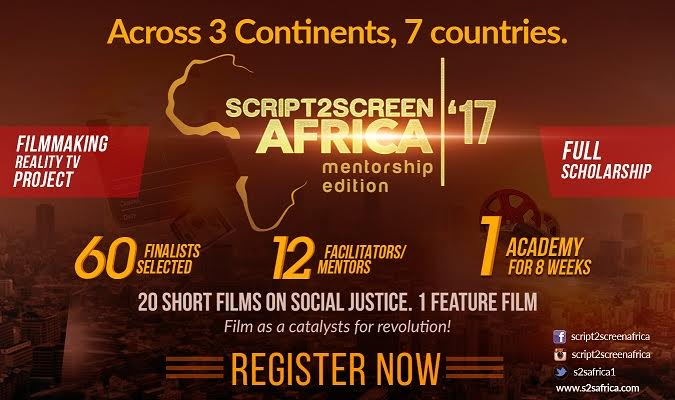 The Reality TV project which is scheduled to hold from July 1st to August 26, 2017, will host 60 Finalists, 12 Star actors and trail blazing filmmakers as mentors, 20 Short films on Social Justice, and climax with a premiere of the short films at the 2017 Script2ScreenAfrica Awards. 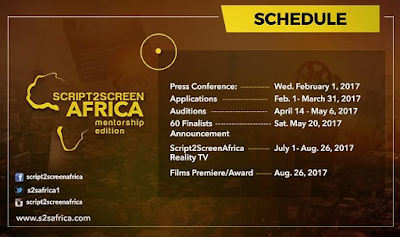 In a time when our continent is overwhelmed with multiple social ills; corruption, injustice, inequality, lack of quality education, lack of power supply, poverty, and insecurity, we seek to train filmmakers with a vision to tell stories that will tackle some of the continent’s most pressing issues head-on, educate viewers while entertaining them, and hopefully pique effective action once the screen’s glow diminishes. 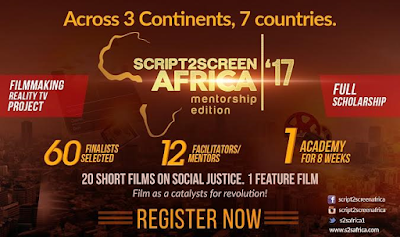 Filmmakers who understand that film is an ideal catalyst for change, and linking a powerful story with a highly developed activist campaign could move public opinion and start a revolution. 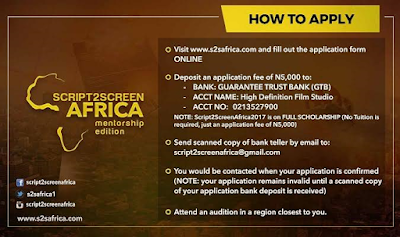 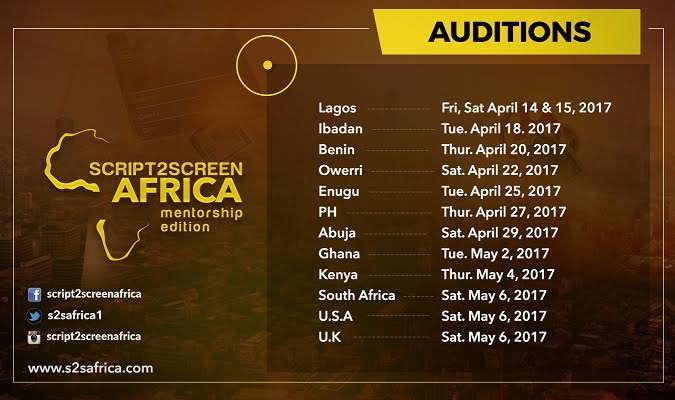 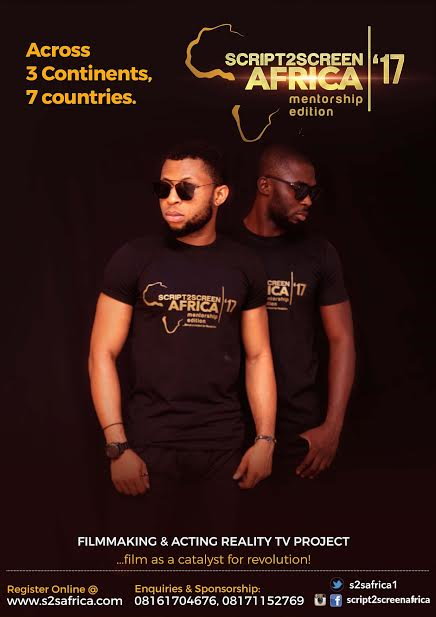 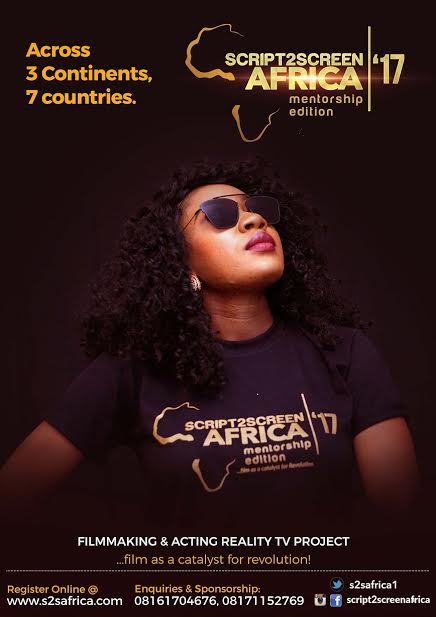 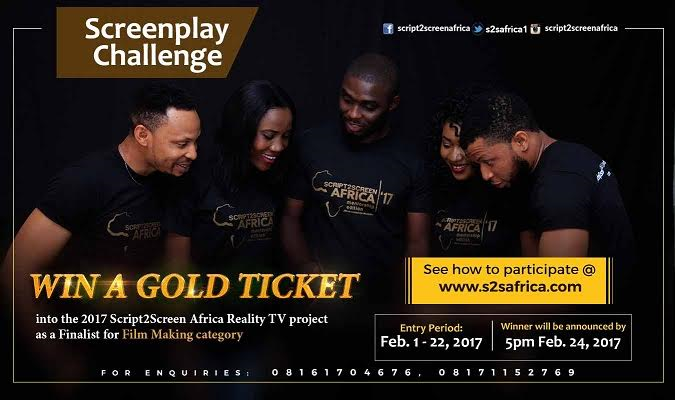 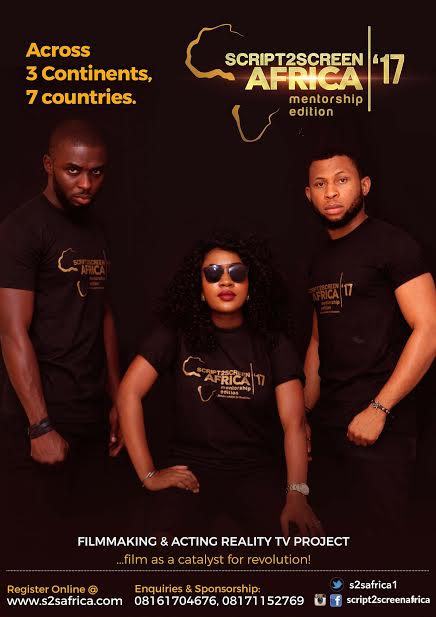 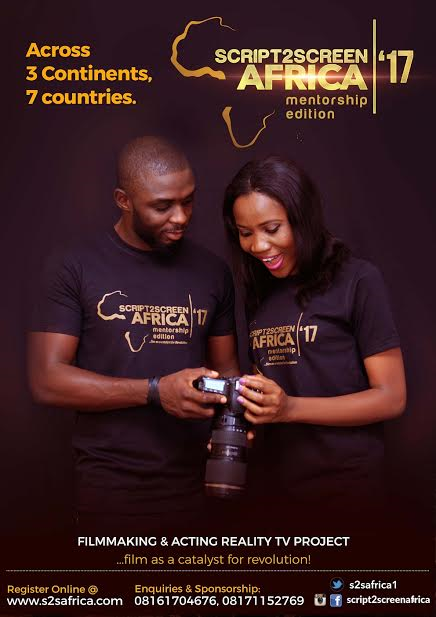 Auditions across 7 states in Nigeria, 3 countries in Africa, U.S and UK (for Africans in the diaspora) will select 60 finalists into the 2017 Script2ScreenAfrica Reality TV project House. 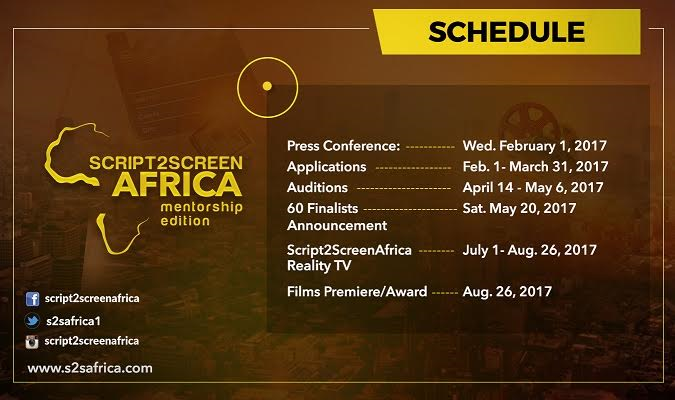 The 60 Finalists are separated into 6 teams of 10 finalists per team (5 filmmakers and 5 actors). 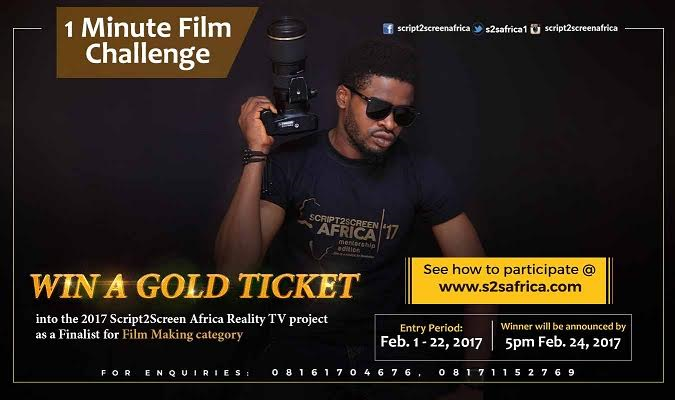 Each team is headed by a combo of a star actor and a trail blazing filmmaker as their mentors. Auditions will begin April 14, 2017. 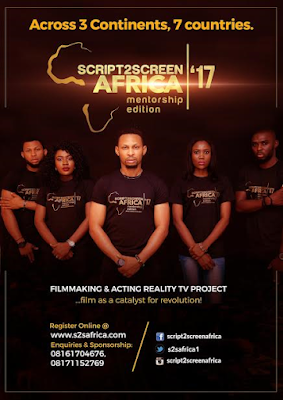 Announcement of the 60 Finalists shall be on May 20, 2017, and the Reality TV project will commence from July 1 to August 26, 2017, which is also the date for the 2017 Script2ScreenAfrica Awards. 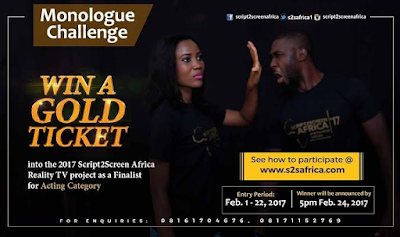 Interested talents are also invited to Win a GOLD TICKET into the Script2ScreenAfrica House as a finalists, without going the registration and audition stages, by participating in one of theCHALLENGES, viz: MONOLOGUE Challenge, SCREENPLAY challenge, and 1 MINUTE FILM Challenge, guidelines are available on the script2screenAfrica website. Sponsorship and Partnership opportunities avails for organizations and individuals to key into this project as Premiere sponsor, Product placement partner, or Premiere Title Partner etc. 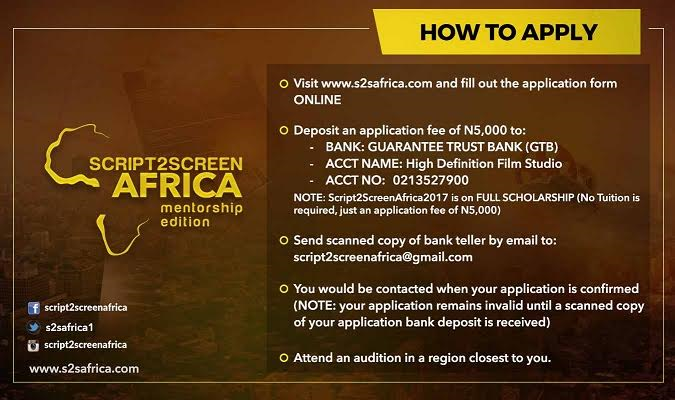 Further enquires and correspondence should be made to script2screenafrica@gmail.com orhdfilmacademy@gmail.com or call High Definition Film Studio on 08161704676 and 08171152769.